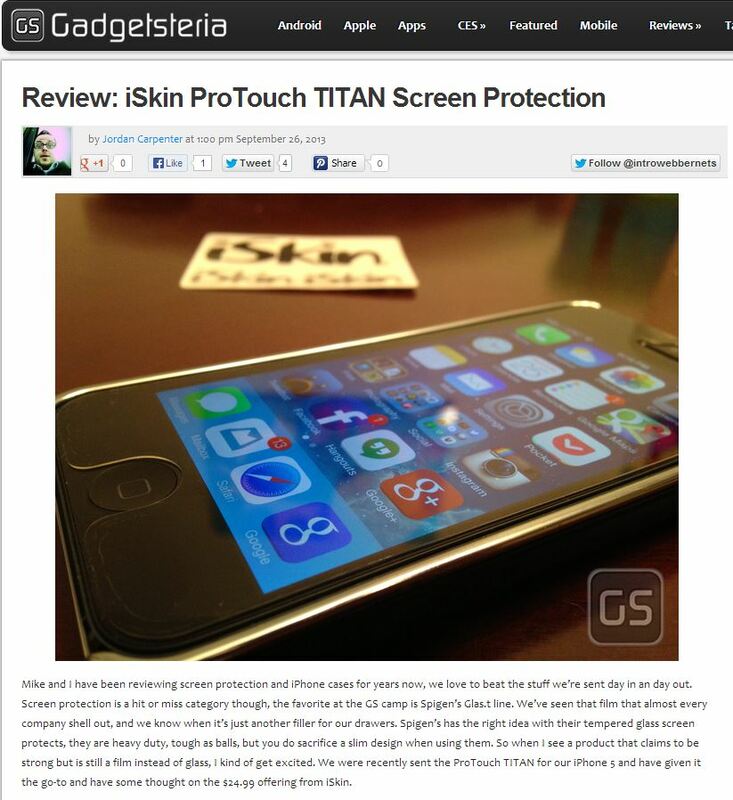 Congratulations to our Client iSkin for their feature on Gadgetsteria. iSkin Inc. is one of the world’s most trusted mobile accessory brands since its first advanced protective solution for the iPod in 2002. Known for its cool, innovative designs and fashion-forward style, iSkin continues to be the leading mobile accessory brand. Their newest line of dense, the ProTouch TITAN, is compatible with theÂ iPhone 5, Â 5S and 5C, as well as the Samsung Galaxy S4. Tougher than tough, it can handle almost anything life throws at your (and your phone’s) way! The ProTouch TITAN High-Impact screen film takes LCD screen protection to the next level. This amazing multi-layered high-impact resistant technology works to strengthen the screen and absorb higher than normal impacts.Â Â Once installed, it retains a clear view of the screen and thereâ€™s no loss in touch sensitivity. Check them out at iSkin.com.